2016 has been a big year for us: we’ve continued to support our flagship projects, grown as a charity and have grand plans for the coming year. Before we head into 2017, we wanted to reflect on our progress, none of which would have been possible without your generous support. 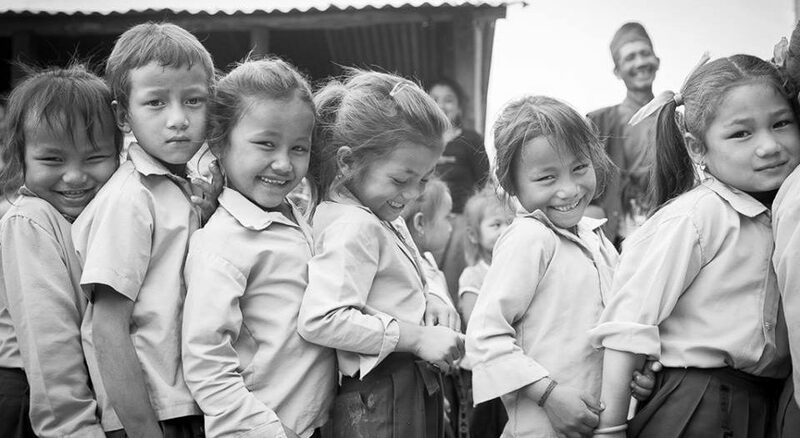 In 2015, we dealt with the immediate effects of the devastating earthquake, providing emergency aid and then building temporary learning centres to ensure children could keep up with their schooling. 2016 has seen an incredible effort by our team on the ground to re-build schools to earthquake resilient standards, with the first of our flagship schools, Nakote, being completed in March this year in time for Anthony to visit! More schools were completed as another of our trustees, Nitish, visited in May and a new round of school building will be started soon! But it has not all been about education infrastructure. This year we also carried out successful teacher training programmes, funded 19 additional teachers and supported 65 students with scholarships to enable them to take their A levels. We also provided hundreds of children with school materials through our links with the School in a Bag project. We’re proud to report that we enabled over 7000 pupils to have access to a better education. Rebuilding schools in the villages where we have provided long term support remains a key priority. 20 schools still need new classrooms and to build a classroom to earthquake resistant standards costs £4000, but will provide a safe learning space for a generation of children. This year we continued to support 15 schools in NE India, funding books, educational materials and scholarships for the poorest pupils. We are determined to continue to improve the quality of education provided by Mondo schools. 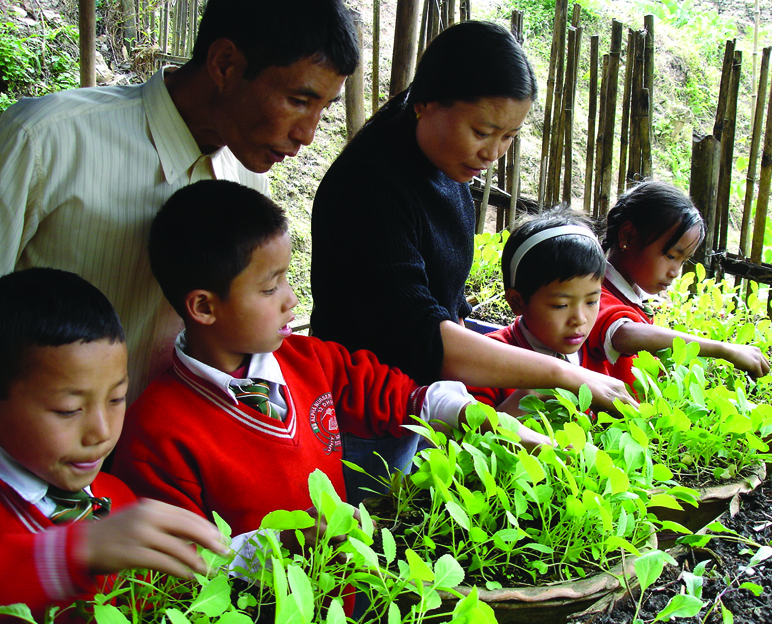 In August, trustee and headteacher Ruth Worswick, spent several weeks in Kalimpong working with the schools to help them evaluate their performance and create plans to improve their teaching methods. This will be followed up throughout 2017 by Mondo staff and volunteers. This year 13 volunteers spent time in our schools in India, but we would love to have more! Volunteers help enrich the support we provide to schools and have a huge impact on the quality of students’ education. Maybe you could make a trip out to India to volunteer at our schools so please do get in touch! We are particularly looking for volunteers who have worked as teachers in the UK and can support the schools in their quality education planning. Please spread the message to any teachers that you know! When Sharon’s husband died of AIDS he left behind a workshop where he used to run a cake making business, but it had fallen into disrepair. 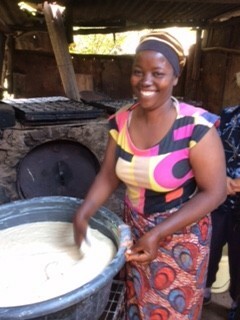 Sharon received a grant of 200,000 Tz shillings from Mondo to help her to restock the business and get baking. She also attended a two day training with the other grant recipients which helped her to understand how to calculate her profit margin and organise her savings. Working in a group with the other ladies made her feel supported and gave her the motivation to make her business a success. She now earns enough to send her 3 children to school and to employ an assistant. Could you spare £50 to support a woman like Sharon to make a success of a business? With matched funding from Mondo this would allow us to provide her with the training and the equipment needed to get started, plus regular support from a mentor to help the business get off the ground. Finally there have also been some changes to the team. In September, we welcomed a new chair of trustees, Simon Cowley whose long term business and financial experience will be a great asset to the board. In the summer we said goodbye to Karen Joehr who left her post as a trustee after many years, we thank her for all her support to Mondo. We wanted to wish all of our supporters a Merry Christmas and a Happy New Year and look forward to working with you in 2017 to change more lives.